Verona Italy is, after Venice, the biggest tourist attraction in the Veneto. Verona is best known for two things; the incredible Roman Arena and Juliet’s balcony but so many more gems await discovery. To begin with Verona is a perfect base to explore the nearby town of Soave and the most important Veneto wine regions . Nearby too is one of Italy's most loved tourist attractions, the beautiful Lake Garda . 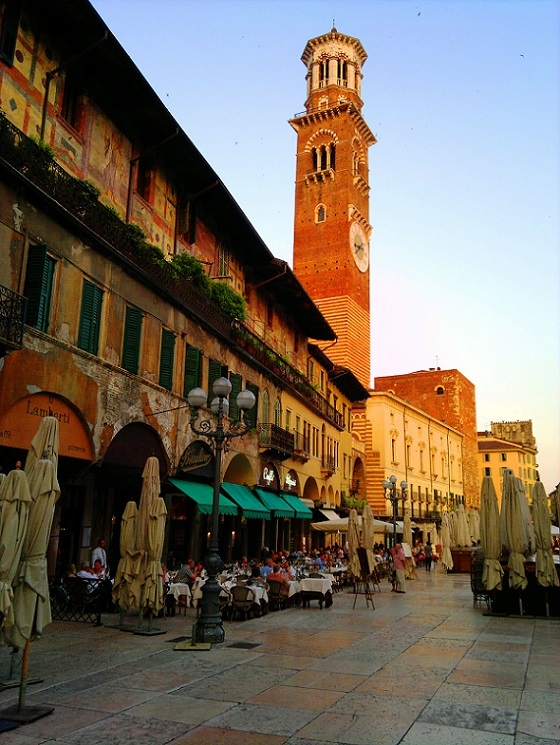 Be sure to explore these lovely surrounding areas but don't neglect Verona itself. It really is a city you'll fall in love with. Good news, Verona has a decent choice of places to stay, the prices are far better than Venice and the quality is superior to the mostly mediocre hotels to be found in Vicenza and Treviso. Our suggestion would be the Hotel Verona. It is well located and a really high quality three star hotel. The free bicycle available to guests is a nice touch and will make you feel like a local. A good choice, if you like very modern, crisp and clean hotels, is the Hotel de Capuleti. This is a Best Western Hotel where we happened to spend a few days this summer; it is in a good position on the edge of the old town, offers real value and the breakfasts are superb. An excellent five star hotel in Verona is the Gabbia D’Oro. A quite lovely eighteenth century palace set right in the heart of the city. I always feel when visiting elegant, historic cities like Verona and Venice that staying in hotels that compliment the elegance and history of the city is surely befitting - I mean don't we all deserve to feel like royalty once in while? 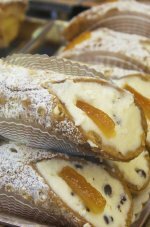 It's hard to eat badly in Verona. Even the "touristy" restaurants near the Roman Arena actually serve pretty good food. If I had to choose one though it would be the Trattoria da l'Amelia (click for more). Verona was an important Roman city and this is the best city in northern Italy for visiting well preserved Roman buildings. After the end of the Roman era the next “golden age” was around the 13th century. This is the Scaligeri (Scala) era featured in Romeo and Juliet. The Scala family spent most of the next 150 years trying to dominate the north of Italy and killing rival family members. Really a horrible bunch of mobsters! Rabid Dog Della Scala was the worst of them - click for more on him and his wonderful castle. Besides the castle the family built some other beautiful buildings, palaces and bridges too. The magnificent San Zeno Basilica and the Basilica of San Lorenzo date from this era. After the family was finally removed the city fell under the control of Venice. Most of the main sights you'll want to see were built before Venice took control. Photo above shows the Roman Arena and Piazza Bra. For our Verona Italy map guide to where the main sights are click here. Plenty of churches and many of them rival the beauty of the churches to be found in Venice. The Basilica of San Zeno is quite lovely and the finest of the churches. For more on this and the other churches of Verona click here. It seems Verona tends to bring out the romantic in even the most jaded couple and all couples religiously make the trip to see Juliet’s balcony, which in reality is no such thing, but just a good bit of marketing by Verona. To be honest, I'm Italian and romantic at heart but I don’t much like the balcony. If you are interested in knowing why and more about it then click here. Verona is a World Heritage Site thanks to its Roman legacy. The Arena is the most important. 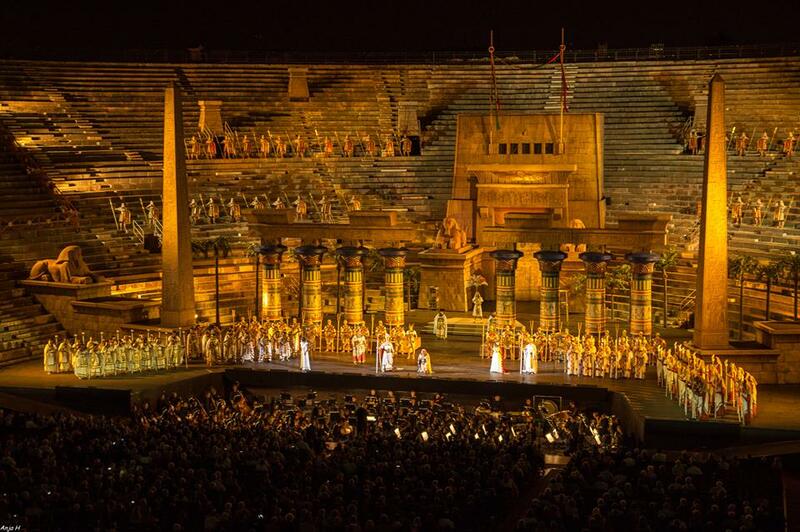 Once a place where Roman gladiators engaged in brutal combat, the Arena is now a pleasant place of summer concerts, operas under the stars and tour groups - lots of them in July and August. 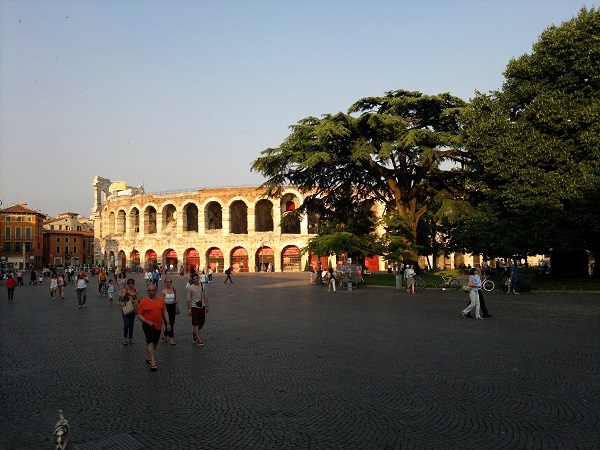 Click here to read about the Arena, the concerts and the other Roman attractions in Verona. Known as Piazza Dante by locals, because of the statue to Dante Alighieri in the piazza. Dante lived in Verona after being expelled from Florence. The most impressive buildings are the Loggia del Consiglio, Palazzo del Comune (dates from the Scala era) and the Palazzo del Capitanio (designed by Palladio). A huge (one of the biggest in all Italy), prosperous and pleasant piazza lined with bars charging ridiculous prices for even a simple cup of coffee. Despite the silly prices sit at a bar and have a drink in order to soak up the atmosphere but unless you have pots of money don’t eat here. In the middle of the piazza there's a little park with lovely shady cedar trees, on one side you have the Roman Arena while opposite the park there is an arcaded walkway lined with pavement restaurants. The Piazza is also home to the local tourist office. The office provides some decent maps and advice on things to see in and around town. Home to the fresh produce markets and lined with some exquisite buildings. Best of these is the Lamberti Tower and the Domus Mercatorum. The piazza is considered to be one of the loveliest in all of Italy and I agree completely. Get to the Piazza early, when the first stall holders are setting up and only a few locals are rushing about, this is the best way to experience the centuries of history pervading the square. The early morning light, the smell of the market... lovely. I struggle to get out of my bed in the morning but this is worth it. In fact on my Italian Bucket list I mention spending a day in a piazza and this is a good place to cross off that one from the list. When Verona was on fire, or a city meeting was called, one of the two bells was rung. From what I am told the largest was to call a city council meeting. The small one was for less important things like fires. Very weird but the city council obviously considered themselves important as city councilors tend to do. To visit the tower costs around €2 though you will pay another € 0.60 if you don’t feel like walking and take the lift. The view from up top is spectacular – the whole town stretches before you and if it isn’t hazy (it always is whenever I visit) I'm told you can see the Alps. If you do see them please let me know...I'm not convinced. Built in 1301, this building is okay. Nice colour, nice arches and the top part looks like a castle but to be honest it is nothing worth getting excited about. Now this is a great 12th century building. It has a lovely courtyard with a splendid staircase inside - these stairs were added only in the 15th century but they compliment the original building. Changes made in the 19th century were less beneficial and the fact that only two of the original two towers exist is a pity. My home province of Vicenza is famous for its Palladian architecture but this is also a famous example dating from 1565. It looks unfinished compared to other works by Palladio and that is because it is. It appears that the original design was never completed and the side wings were left out. One of the places in Verona Italy that is really worth seeing. Not only because I tend to like castles but also because it provides an important insight into life during the time of the Scaliger dynasty and the museum is superb. Read more about it here. Shopping in Verona is wonderful. Not quite as good as Turin (Italy's greatest shopping city) but still very good nonetheless. Try the markets if you would like quality designer items at discounted prices. Being the passionate shopper that I am, just ask my marito (hubby), I cannot get enough of them! 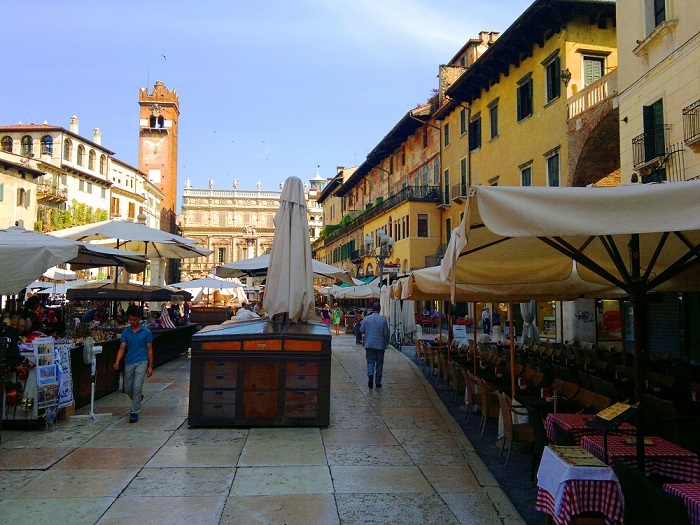 The Verona markets move around on a daily basis. The best one is the one held on a Saturday at the Stadio - you really are going to love it. Tourist information, or even your hotel, will be able to give you more details. If prices don’t worry you then visit Via Mazzini. 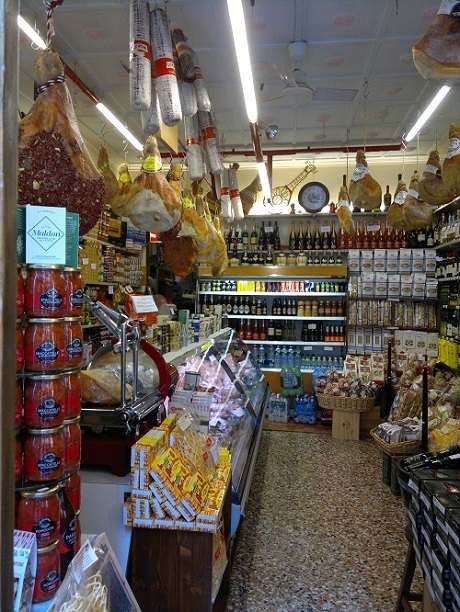 In fact visit Via Mazzini, whether or not you like shopping, this is a vibrant pedestrians only street. If you turn right at the end of the street you get into Via Cappello of Romeo and Juliet fame. 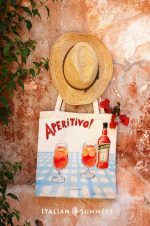 Study Italian in Verona Italy? To really get the feel of life in Verona spend a few weeks or more studying Italian here. Most Italian language schools in Verona are excellent. I used to be a language teacher and I hope to soon prepare a guide to the best of these schools in Verona. In the meantime, should you wish to study Italian in Verona, you are welcome to contact me below for some free advice. 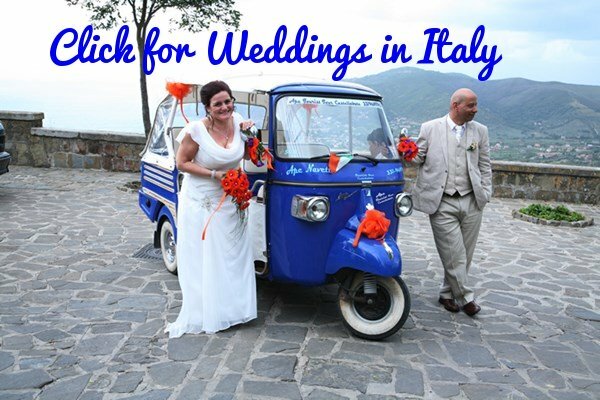 Or visit my guide to some of the best language schools elsewhere in Italy. Looking for something? Why not try our search engine or contact me below.